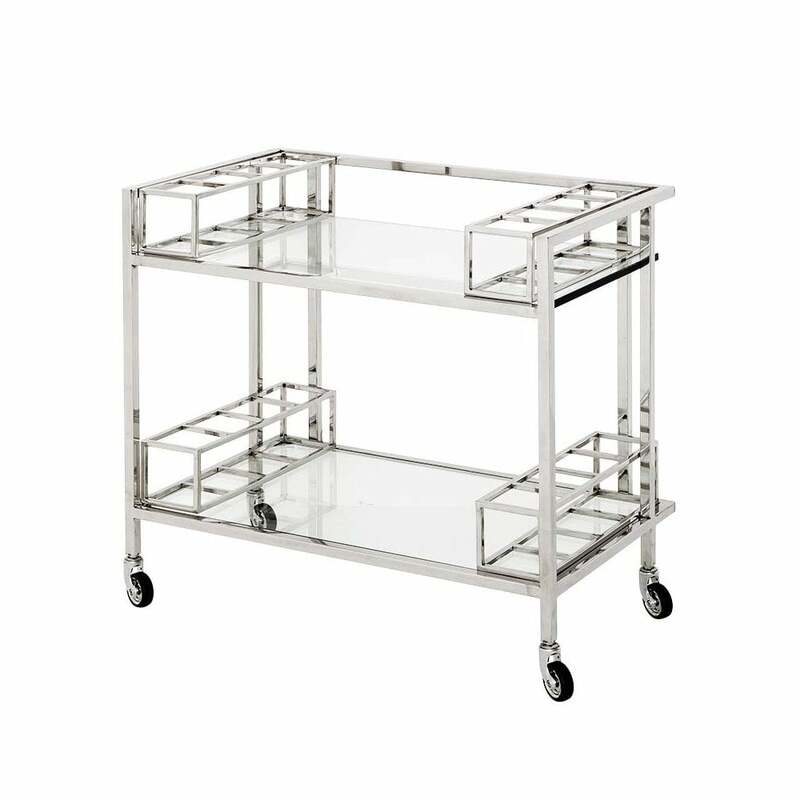 Drawing inspiration from the popular mid-century era of design, the Le Pomerol Trolley offers a stylish solution for entertaining. The contemporary design features a clear glass surface and stainless steel frame with four wheels for ultimate practicality. A glamorous accessory for a dining room or living space, the four seperate compartments are perfect for storing your favourite spirits, wine and liqueurs. Serve your favourite drinks at dinner parties and proudly display drinks accessories, glassware and cocktail books for a personalised touch. Practical and on-trend, this drinks trolley will suit both modern and traditional homes whether a chic city apartment or a country estate.